Climbing boulders, or bouldering, is a self-powered, low impact outdoor activity that is both fun and challenging. “Problems” are the paths climbers take to get to the top and each boulder may have many problems of varying difficulty. Since ropes and harnesses are not used, bouldering is made safest through the use of spotters and protective crash pads. 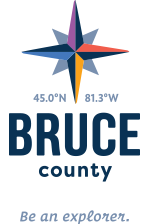 As a core part of UNESCO’s Niagara Escarpment World Biosphere Reserve, Bruce Peninsula National Park sprawls over 156 square kilometres and is home to many endangered and at risk species. Bouldering is only permitted from Cave Point to Boulder Beach at Halfway Log Dump within Bruce Peninsula National Park. An agreement between Parks Canada and the Ontario Access Coalition provides bouldering guidelines to protect the park and keep you safe. Visit www.ontarioaccess coalition.com for more information and to review their Interpretive Bouldering Guide to Halfway Log Dump. time to boulder is in the spring and fall when the crowds have dwindled. There is a nominal cost to park at Halfway Log Dump and keep in mind, beyond the parking lot, there are no washrooms or garbage receptacles. Get up-to-date information on parking, visitor attractions and alternate bouldering and climbing destinations at the Parks Canada Visitor Centre in Tobermory.